Baby blanket is made from blocks in four different fabrics. Back is in one piece and over edges to form binding. 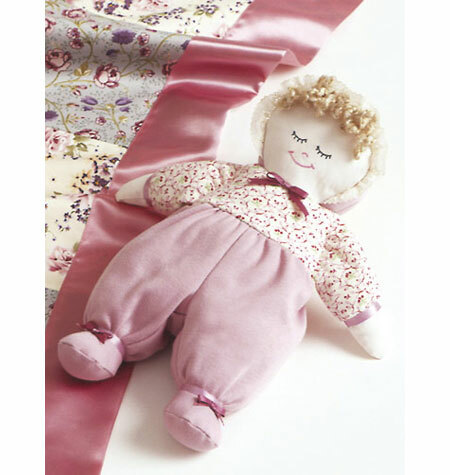 Doll is stuffed with polyester filling. The face is stitched and hair is made from yarn. 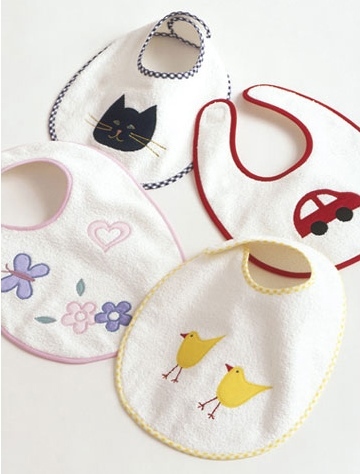 Bibs have optional lining, velcro closure and outside edges finished with bias tape. Seven different appliques are included.